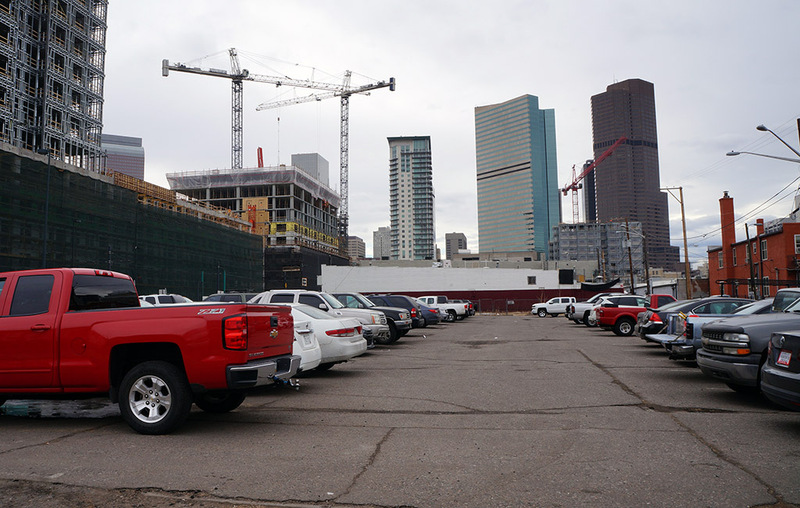 Plans for a 13-story apartment tower at Park Avenue and Welton Street in Arapahoe Square are moving forward, as the developer now controls the site. Mission Hills-based Alsation Land Co. purchased 600 and 602 Park Avenue W. last week for $5.16 million, according to property records. The seller was 2201 Welton LLC, which is registered to Howard Witkin at a Boulder address. The two parcels, both currently being used as a parking lot, total 0.7 acres. Plans for the tower, which has yet to receive final approval from the city, call for 238 units. The building (rendering) is being designed by Kephart Architecture. 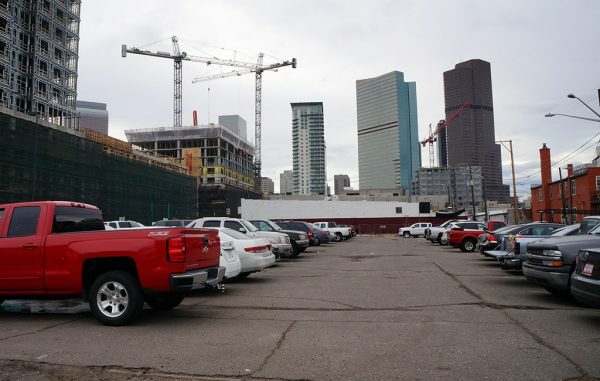 Kephart marketing director Jamie Goldman said the project should break ground in the third or fourth quarter this year. The Welton Street corridor is currently a hub for infill projects. 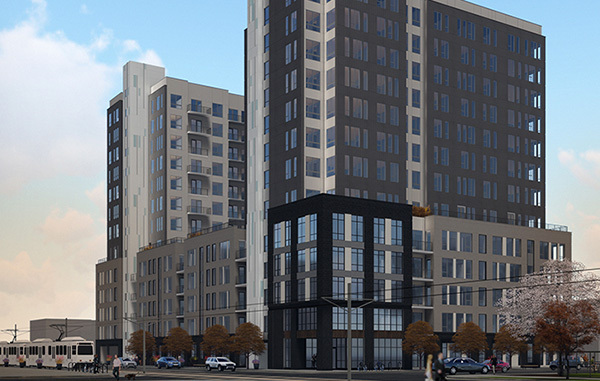 Across the street from 600 Park Ave., construction is underway on two more apartment towers: Trammell Crow’s 13-story Alexan Arapahoe Square and Lennar Multifamily Communities’ 18-story 21st and Welton apartment tower.